Tag Archive | "Cheap Textbooks"
Books can be incredibly expensive, especially for college students who are putting all of their time into education and who do not have time for a job on the side. Dropping four hundred dollars or more, per semester, can be daunting and sometimes impossible. However, colleges and universities refuse to supply books along with the cost of the courses, so what can you do? Below are a few creative ways to save. The publishing world is changing. 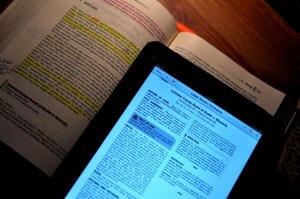 These days, you can choose to buy many books in PDF form and then read them on your tablet, your smartphone or your computer, rather than buying paperback copies. Since the cost of printing a paperback book or a hardcover book is far higher than the cost of assembling a PDF – which can then be resold many times over – the PDF versions usually cost much less. You might be able to get a $100 book for under $10. If you do this with even half of your books, you are going to save. If you need science books, you can often get them right from the students who took the class before you. They will need new books for their next classes since they will be taking different subjects, so they will want to get rid of the ones that they have and get some money to buy the new ones. They will be happy to sell to you, rather than selling the books back to the school, because it cuts out the middleman and makes it a good deal from both sides. Even if you pay less than what it would have cost to buy a book from the school, you will still be giving them more than they would have gotten while selling the book back to the bookstore. It is a win-win situation. If you have friends who are taking the same classes as you, but they have the classes at different times, you should consider sharing the book. You will still get a great education because you will have the tools that you need, but you will not have to pay nearly as much. If you split the cost of books in half this way, you can really save a lot, though you may have to study together when exams come around. Some professors will assign books for the course and then never use them. You can often figure out if this is going to happen in the first week or so. They will choose to give you an education based around presentations and lectures, but they may have assigned the book just because they felt like they had to give you something. You should go to your first week of classes without any books, figure out which classes you really need them for, and then only buy those ones at the bookstore. This keeps you from throwing away money on a book you would never open anyway. If you use all four of these tricks at the same time, you can drastically cut back on what you pay each semester. Even if you only saved $100 each semester, you will be saving $800 by the time that you graduate. If it takes you more than four years to get your degree, or if you are able to save around $200 per semester, your savings will increase. Take these steps as soon as you can to give yourself financial freedom while you get your education. Today’s guest article comes from Ryan Ayers. He is a writer who creates informative articles in relation to education. In this article, he offer advice for students buying books and aims to encourage further study with an OU Online Civil Engineering Master’s Degree. Free Textbooks & Campus Gear Giveaway – Enter Today! The end of another semester is slowly creeping up for many. Students are diligently writing their final papers and cramming for those end-of semester exams. Fortunately though, there is light at the end of the tunnel and winter break is nearly upon us. In an effort to celebrate this momentous occasion, CheapScholar.org has teamed up with eCampus.com to provide some great gifts for our readers. 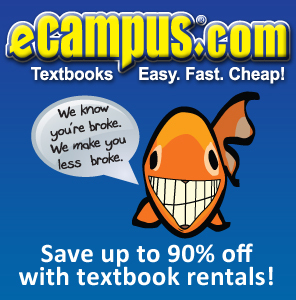 For those that don’t know, eCampus.com is a leading retailer of textbooks and college apparel. They not only rent and sell textbooks but they also provide top dollar for students looking to make some money from their used books. To help alleviate the impact on your wallets next semester, eCampus.com is providing a $200 gift card that can be utilized on their website. Since textbook rental is much cheaper than buying outright, it is very possible that this $200 prize could take care of all of your textbooks expenses next semester. In addition, if you find that you have any money leftover, you can shop for a number of other items on eCampus.com. Sarah Walker is the winner. I will send an email out to Sarah so that she can claim her prize. Congrats to all that participated. Be sure to stay tuned for another giveaway that we will be doing in January. This giveaway will close on Saturday December 10th at midnight (Eastern Standard Time). I will randomly select a winner (using the wonders of technology) from the entries and announce the winner on this article on December 11th. The winner has a week to contact me and arrange for delivery of the $200 gift card. If I don’t hear from the winner, I will randomly select an alternate. Hope you enjoy this giveaway. If you know of any deserving people that could make good use of free textbooks or college apparel, please feel free to utilize the “share tab” below to pass this information onto them. If you are a college student, work at a college, or ever stepped foot on a college campus, then you probably are very familiar with Amazon.com. Over the years it has topped the internet as a premium competitive resource to buy and sell goods. Amazon started their business as a book retailer but now you can not only buy books at rock bottom prices, you can purchase electronics, household supplies, and even groceries. It is absolutely amazing to see how the website has evolved over the years. For those that know Amazon, you know that one of their features is a service called Amazon Prime. If you enroll in this program, you get free 2-day shipping on any product you order directly from Amazon and one-day shipping is available at only $3.99 for each item. The only downside is that an annual subscription to Amazon Prime will set you back $79. 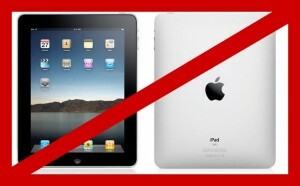 Which you would have to purchase a fair amount of items to recoup that investment. If you are a college student, you are currently eligible to receive the Amazon Prime service for FREE.. Yes FREE. Sign up is easy and the only qualifications are that you are currently enrolled at a college and have a valid .edu email address. That is it! So, if you are already using Amazon.com to score great deals on your textbooks or electronic gadgets to fill up your dorm room, then you had better take advantage of this free benefit and save a couple bucks on shipping while you are at it. Once your free membership has run its course, you can renew your membership at the college student rate of $39 a year (half off the regular rate). In my research for this article, I found that a good number of college alumni are trying to enroll in this program because their college assigned them with a permanent .edu email address for life. If your email address doesn’t reflect your graduation year (s86.johnsmith@harvard.edu) or the fact that you are indeed an alumni (johnsmith@alumni.harvard.edu) you may be able to enroll in the free offer. However, if Amazon finds out, they will more than likely cancel your membership and ban you from their website indefinitely… just kidding…but they will probably cancel your Amazon Prime membership. Since you have a permanent .edu email address at your college, you are probably able to “work the system” to get a free Amazon Prime account. Faculty are always adding to their literary collections, so I am guessing that this free benefit could be a huge savings for them. 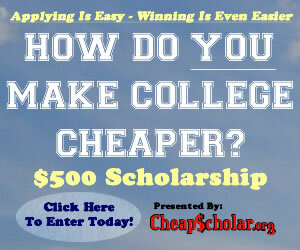 At CheapScholar.org, we are always trying to help families and students find great opportunities to reduce the costs associated with going to college. If you plan on utilizing Amazon.com for any textbook purchases (or groceries, electronics, etc…) you will definitely want to take advantage of this FREE Amazon Prime offer. If you know of anyone else that could benefit from this cost savings, please be sure to pass this information onto them using the “share tab” below. If you are a college student, or the parent of a college student, you will want to bookmark this page right away because it is sure to save you thousands of dollars over the span of your educational career. It may be hard to believe but the numbers speak for themselves. 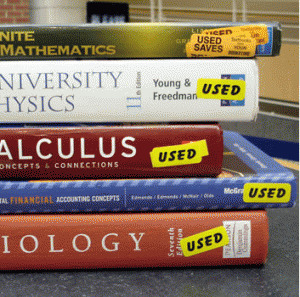 Leading book retailers estimate that college students spend an average of $450 a semester on textbooks. Assuming most students attend at least 8 semesters (4 years) of college, your total expense would be $3,600 for books. Using our Textbook Comparison Shopping Tool, you can save up to 60% off of retail pricing… or roughly $2,200. Our Textbook Comparison Shopping Tool is partnered up with over 40 different textbook retailers competing for your business. (Which guarantees you the best pricing!) All you have to do is type in any of your textbook information (author, title, ISBN, etc..) and click on search. Our Textbook Comparison Shopping Tool quickly brings back the results and pricing for your textbook. Click on the one you want to purchase and proceed through checkout. Textbook savings has never been easier!